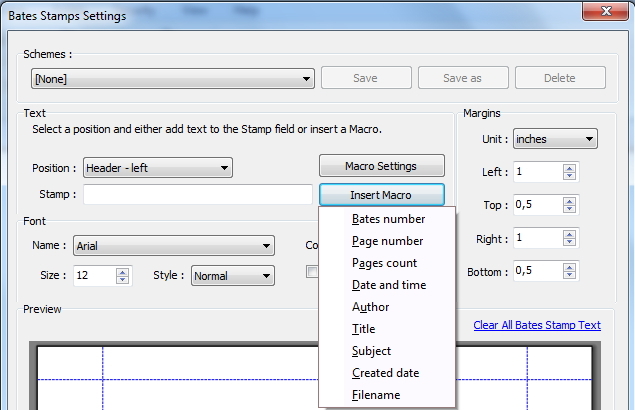 Click on the "Bates number" button within the "Insert & Edit" tab. 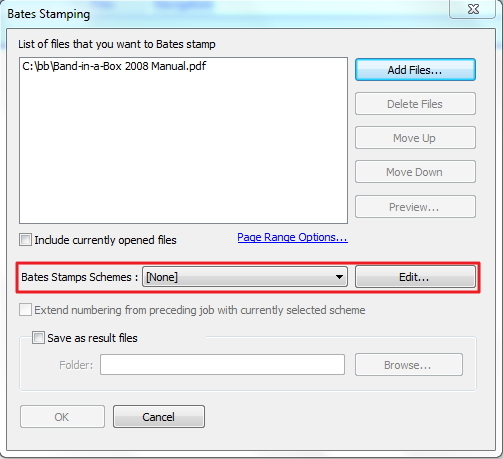 Click "Edit" beside the "Bates stamp schemes" to select the type of data you wish to apply to your PDF files. 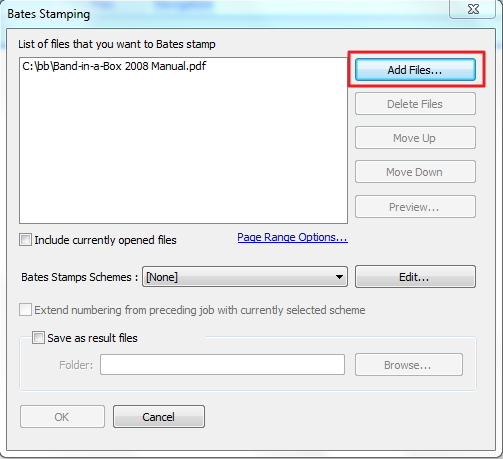 Select the position of the stamp, the font, size etc. Click Save as and give a name to this stamp.